Poll: What's your favorite St. Louis restaurant? Congratulations to winning restaurant, Baileys' Range! And congratulations to winning voter, Kayla Wing, the recipient of a $100 gift card to Vin de Set! St. Louis Magazine's October issue highlights some of the region's best restaurants. Now we want to hear from you! Vote in our Best Restaurants Readers' Choice Poll to help determine which restaurant deserves the top spot. 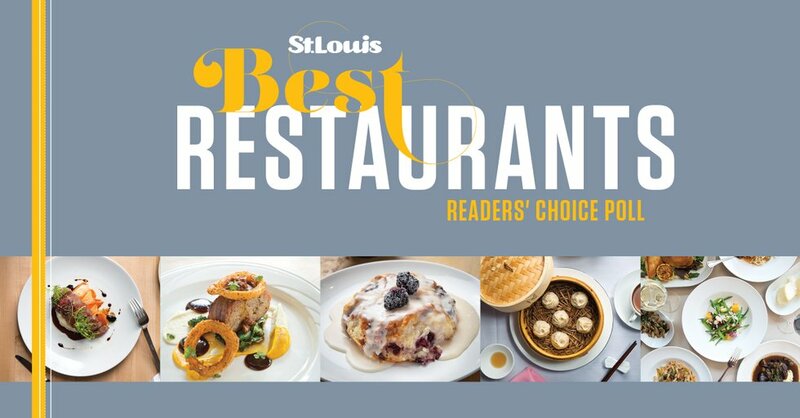 By voting, you will be automatically entered to win a $100 gift card to a St. Louis restaurant. Each voter may vote once in each category per round. All write-ins will be reviewed by St. Louis Magazine staff. Note that each of the 150 restaurants is mentioned in only one category and cannot be nominated for multiple categories. So before writing-in a favorite restaurant, make sure it wasn't listed elsewhere. Vote for one of the restaurants on the ballot or write in your own! The restaurant with the most votes in each category will compete for the overall winner title. The winning restaurant will be announced on the contest page and the winning voter will be notifed by email. Contact digital media manager Steph Zimmerman at szimmerman@stlmag.com for any questions about the contest.